A great step for Action Creations in 2010 was the production of a video clip for the band Paranoid Clown, recorded and edited in Brazil by Derick Borba. The video entitled THE ROSE AND THE BUM, had over 10 thousand hits in a few days and it’s rising. Thanks to everyone involved in this video. 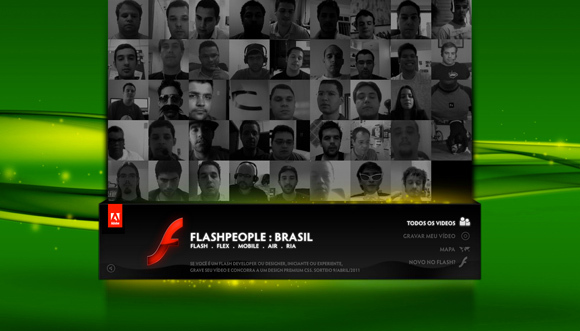 Planned, designed and developed by Action Creations, Flash People is a project created for the Adobe Community team with the intention to unite all people related to the Flash Platform around the world, starting in Brazil.